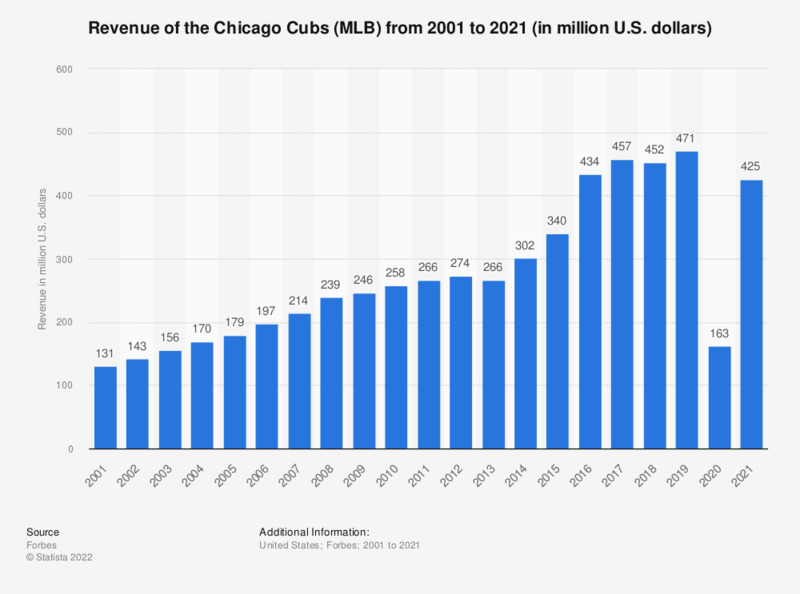 The statistic depicts the revenue of the Chicago Cubs from 2001 to 2017. In 2017, the revenue of the Major League Baseball franchise amounted to 457 million U.S. dollars. The Chicago Cubs are owned by the Ricketts family, who bought the franchise for 700 million U.S. dollars in 2009. * Net of stadium revenues used for debt payments.